Each Rune tells us about a key facet of our life. The Runes were the alphabet of the ancient Norse and other peoples of Northern Europe. But they are not just letters and were never simply understood as such. ​The Runes are also Gateways to new ways of being, ways of bringing in needed change. Myth has it they were the great sacrificial gift of the magnificent warrior magician god, Odin, who hung upside down in trance in the world tree Yggdrassil for nine days and nights, and on the ninth day he fell screaming and chanting the inspiration and wisdom of each letter whose shape he had perceived in the branches of the Ash. 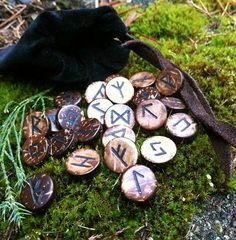 ​Through the three Aetts, the Runes are grouped in: three groups of eight Runes each, they teach us how to live successfully as a human being, how to understand and work with challenges, and how to share in the consciousness of the divine. Welcome to the wonderful world of Odin, the Norns, Freya, Heimdall and Tir. Transform your understanding of the events in your life. This is totally personal sacred exploration on your part. ​For each Rune you receive an audio recording download with information. And for each rune you also receive a guided meditation with opportunity for trance drumming and chanting and divination. So my worldwide Rune Wisdom Audio Course offers you presentation and journeying for each rune, but it is different from my main Rune Course. 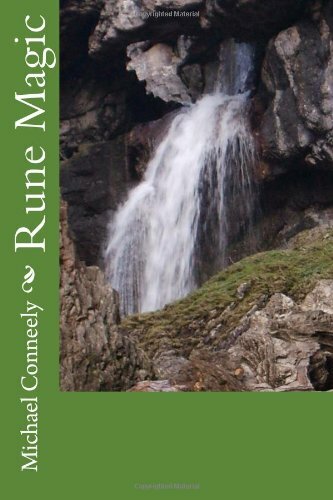 You can read all about my main Rune Course on the Home Page. The differences are that the audio course does not include the following features of my main Runes Course: Rune Stance and Galdr (Rune Chant), work with the Norse Gods, correspondence with myself, cross-reference to your astrology, nor the Certification. But it does provide you with a superb audio-tool for making your own deep and powerful spiritual journey through the Runes. ​How does the course work? Well, for example, in this worldwide Rune Wisdom Audio Course, the journey for the first rune, Fehu asks what is your relationship to the issue of wealth? and it then offers a journey to develop or heal that issue. ​The audio for the second rune, Uruz, asks about the issue of strength in your life, and offers a journey that is a key to enhancing your strength, and so on through all the runes: two audios for each Rune. ​This Rune Wisdom Audio Course is being offered to support the Free Rune Wisdom Telesummit offered by Kim Wilborn of Guardian Gateways. The Rune Wisdom Telesummit runs from Monday October 22nd to Friday Nov 2nd, 2018. Watch out for details. The Ad to Cart button above is secured by Shopify Payment gateways. ​The Seeress prophesied at the beginning of time that the Gods of Asgard will not survive the final battle; the Nine Worlds are heading to destruction; beauty and order will fail. As the forces of chaos and darkness gather, Declan and Magda, two young people who have never even seen each other before, suddenly find themselves seized by Odin. He takes them from their own world to work together to save the magic of the Runes and create a new future for the gods. Caught up in the end of the worlds, they choose love, courage and even cunning, and they themselves undergo the awesome magic tests where Odin first won his great powers. But can the prophecy of the Seeress be averted? Can a new world be created? And what will be their place in it? ‘Heimdall has sounded the Gjallarhorn. The forces of chaos are invading Asgard,’ Magda said urgently.